Dubai, 21 February 2019: Ibn Battuta Mall is partnering with Pink Caravan to offer free clinical breast examinations and raise awareness about breast cancer and the importance of early detection. Held at China Court until 2 March, the Pink Caravan medical booth features a qualified doctor providing clinical examinations, a nurse teaching self-checks and an administrative assistant helping participants with the registration process from 4pm to 10pm daily. The clinic is part of the 10 day Pink Caravan Ride campaign – an annual event that features a horse ride across the UAE to raise awareness about breast cancer. 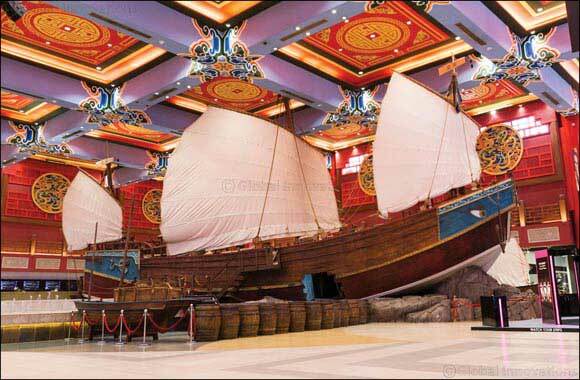 Ibn Battuta Mall was chosen as venue partner to host the medical booth in Dubai. Last year, Ibn Battuta Mall partnered with Pink Caravan to promote breast cancer awareness and treatment through a unique, beauty-themed Glam up for a Cause campaign.